Need more apps for your favorite device? iOSnoops can help! Here are 17 iPhone and iPad apps that have just gone free. 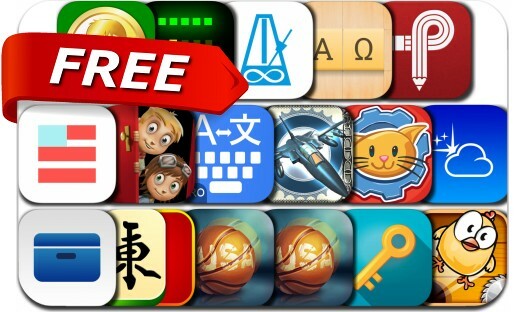 This apps gone free alert includes Alpha Omega, Translate Keyboard Pro, SillyTale MahJong, Budget Boss, Kalley's Machine Plus Cats, Keymoji, US Basketball, Parker Planner, System Monitor, Meeting Box, Metronome: PolyNome and many others.